Shirow Masamune's generation-defining cyberpunk manga masterpiece The Ghost in the Shell—presciently set in a networked world where the virtual and physical universes collide—is now finally a major motion picture, in theaters March 31! 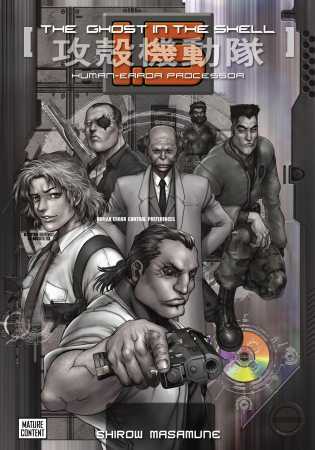 Digital editions of Volumes 1, 2, and 1.5 are the classic Studio Proteus translations by Frederik Schodt, Toren Smith, Tom Orzechowski, and Suzie Lee. 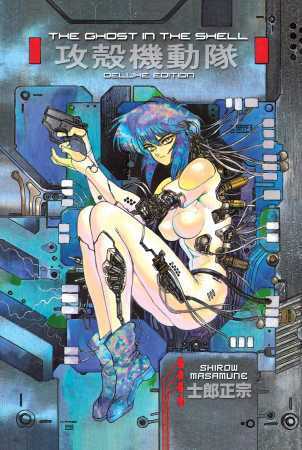 And for those of you with more refined tastes, be on the lookout for The Ghost in the Shell Deluxe Editions. 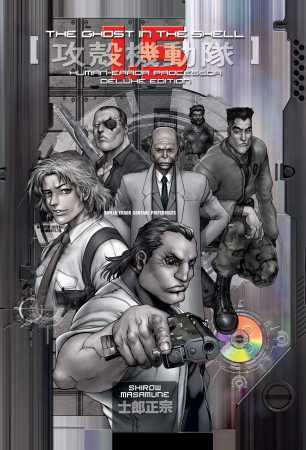 Each of these premium hardcover editions represents a definitive new edition supervised by creator Shirow Masamune and features the original, right-to-left format with Japanese sound effects for the first time and brand-new bonus content. These editions are only available in these hardcover, print versions. So whether you like your manga hardwired or virtual, it's the perfect time to interface with one of the true, all-time manga classics. The Ghost in the Shell is back for the 21st Century—more relevant than ever. 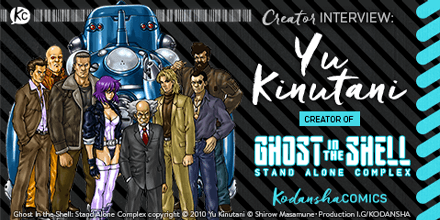 Also, check out the interview and concept sketches by Yu Kinutani, the creator behind Ghost in the Shell: Stand Alone Complex!